The laboratory was established in 2008. Prof. habil. dr. Vaiva Lesauskaitė was elected as the head of the laboratory. 1. Cardiovascular diseases genetic epidemiology. 2. Candidate genes and their variants relevant to cardiovascular morphogenesis researches. 3. Cardiovascular diseases pharmacogenetic researches. The laboratory is involved in the clinical and research collaboration with LUHS Cardiothoracic and Vascular Surgery, Cardiology and other institutions. Research must be carried on time, high-quality and in compliance with the highest EU standards. Laboratory workers constantly renew their knowledge of raising qualification. Results of scientific research results should be published in Lithuanian and international scientific journals also presented at conferences. Laboratory workers must carry out academic activities, sharing of experience and knowledge. Mission – increase the diagnostic molecular genetics research availability for Lithuanian residents. Vision – health care quality improvement. Physicians using diagnostic molecular genetics research results more accurately diagnose diseases and will better predict their process and choose the most appropriate treatment strategy. Strategy – execution of laboratory activities are integrating clinical diagnostic and research laboratory quality system into the management system and operation of accreditation, according to standard. BS EN ISO / IEC 17025 standard. Summary: Dilatative pathology of ascending aorta (DPAA) is a well-known life-threatening condition for aortic dissection. DPAA usually develops without any symptoms before clinically manifested sudden aortic wall dissection. One of the most feasible methods for the diagnosis of aortic dilation is 2D echocardiography, however it is not relevant for prediction of dilation rate and prevention of complications. Therefore, noninvasive predictors of aortic dilation are required and the aim of the study was to reveal molecular, morphometric and biomechanical markers of remodeled aortic wall for prediction of aortic dilation, for early diagnosis and decision making. Two-dimensional (2D) and 2D speckle-tracking echocardiography confirmed that the dilated aorta could not produce normal movement during several cardiac cycles, which could be a predictor of possible mechanical complications (M.Bieseviciene et al. BMC Cardiovasc Disord. 2017; 17: 27). Our study provided further evidence that FBN1 SNPs rs2118181, rs1036477, rs10519177, rs4774517, rs755251 may increase susceptibility to aortic dissections and FBN1 SNPs rs2118181 and rs1036477 to the formation of aortic aneurysms. Thus, these SNPs might be considered as biomarkers for identifying patients at risk for ascending aortic aneurysm and aortic dissection. The aortic dissection development in the absence of these risk alleles stresses that aortic dissection is a complex pathological process and various clinical and biological factors might impact its respective risk (V.Lesauskaitė et al. Eur J Cardiothorac Surg, 2015;47:e124-e130). We reported a significant association between TGF-β1 concentration and DPAA but the mechanisms of cause and effect have not been established yet. Slightly increased TGF-β1 concentration in patients with sporadic DPAA in comparison to the reference subjects requires further investigation to establish its role in sporadic DPAA pathogenesis. We would also like to raise awareness regarding the choice of methods when measuring TGF-β1 levels with an emphasis on preanalytical phase and the choice of sample (R.Sepetiene et al. PLOSone, 2015. 10(6):e0129353). Our study for the first time demonstrated the association between TGF-β1 levels in blood plasma and FBN1 SNPs rs2118181 and rs10519177 in a random sample of population. We suggest that TGF-β1 levels in blood plasma in combination with FBN1 SNPs might serve as a biomarker to identify patients at risk for sporadic ascending aortic aneurysm and aortic dissection (R.Sepetiene et al. Mol Med; 2015,21:735-738). Funding: Project No. LIG-05/2012 was funded by Research Council of Lithuania. Project duration: 2012 – 2014. Summary of results: The main task of this project was to determine clinically important polymorphisms of the genes CYP2C19 (*1, *2 and *3), CYP2C9 (*1,*2 and *3), ABCB1 (C3435T), fibrinogen (G-455A) and (C-148T), thrombin (C494T), which influence antiplatelet effect of clopidogrel and to assess the frequency of gene polymorphisms in a random sample of Lithuanian population. Sequence standards were determined by using Sanger sequencing of the genes CYP2C19 (*1, *2 and *3), CYP2C9 (*1,*2 and *3), ABCB1 (C3435T), fibrinogen (G-455A) and (C-148T), thrombin (C494T). Real-Time polymerase chain reaction was used to identify polymorphism of the genes CYP2C19 (*1, *2 and *3), CYP2C9 (*1,*2 and *3), ABCB1 (C3435T), fibrinogen (G-455A) and (C-148T), thrombin (C494T) in three groups of subjects: main group, group of the patients who experienced stent thrombosis and in the random population sample. We assessed the impact of represented genotypes and their variants on platelet function during antiplatelet therapy. We also assessed the influence of clinical and genetic factors (age, diabetes, concomitant drugs) on platelet function during antiplatelet therapy. We determined the most important biomarkers, who might help to identify patients of high risk of stent thrombosis. We determined CYP2C19 (*1, *2 and *3), CYP2C9 (*1,*2 and *3), ABCB1 (C3435T), fibrinogen (G-455A) and (C-148T), thrombin (C494T) polymorphisms in the random sample and we compared the frequencies of these polymorphisms with patient samples. We found that platelet aggregation (PA) with ADP was lower in one third of the patients who carried FI C-148C, but not in the FI T-148T genotype carriers who were treated 4 weeks after induction of treatment with aspirin and clopidogrel. CYP2C19, CYP2C9 or ABCB1 had no impact on platelet aggregation during induction or 4 weeks after induction of the treatment. 60 years and older, diabetic patients, patients having more than 90 centimeters of body waist, had higher PA values. Higher PA was observed in aspirin non-users or statin users during long-term treatment. Perindopril and zofenopril had a different effect. First one has PA lowering-effect during induction, the second one - during long-term treatment. During induction of the treatment, the use of benzodiazepines decreased PA after induction with ARA. During long-term treatment it had an opposite effect. CYP2C19 *2*2 was 4 times and fibrinogen TT genotype was two times more prevalent in patients who had stent thrombosis than in patients without stent thrombosis. Patients with stent thrombosis, who carried FI C-148C genotype, were older. We found a tendency that younger patients, carriers of T allele had stent thrombosis more frequently. The prevalence of CYP2C19, ABCB1 and FI C-148T genotypes was similar in a random sample and in a sample of patients without stent thrombosis. CYP2C19*2*2 genotype was 11 times and fibrinogen T-148T genotype was 1.7 times more prevalent in patients who had stent thrombosis than in a random sample. Funding: Project No. MIP-038/2013 was funded by Research Council of Lithuania. Project duration: 2013 – 2015. Summary: Treatment of acute coronary syndromes (ACS) is not always effective. The causes are not always evident. During this project we expect to determine clinically important biomarkers, which defines antiplatelet (of clopidogrel, which is in use for about 10 years, as well as of the novel agent - ticagrelor) clinical effect in the patients who were treated for acute coronary syndromes. We believe, that the antiplatelet effect such as novel (ticagrelor), or other drugs, which are widely prescribed in clinical practice might be determined according to the activity of naturally occuring antiplatelet and other bio-active arachidonic acid metabolites which have an effect on inflammation. During this project we plan to detect 4 clinically important polymorphisms of CYP4F2, to determine enzyme activity and to investigate arachidonic acid (20-HETE) and leukotriene B4 metabolite concentrations in blood plasma. Identification of the new biomarkers might lead to proper individualization of the treatment and to improve current treatment methods for diseases, affecting the quality and healthy life. Funding: Project No. SEN-09/2015 is funded by Research Council of Lithuania. Project duration: 2015 – 2018. The research focuses on the hypothesis that there is an association between age related aortic wall remodelling and the formation of dilatative pathology of ascending aorta (DPAA). The prevalence of DPAA increases with age, therefore the underlying pathogenic mechanisms could be related. One of the mechanisms is post-transcriptional regulation of phenotypic changes in smooth muscle cells of aortic media. We aim to get a new insight into the aging processes and the mechanisms of age related diseases and to evaluate the potential of non-coding RNA (microRNA )to be used as biomarkers for DPAA and their diagnostic capacity to predict a clinical course of aortic remodelling. The first part of a project was dedicated to the collection of sample material and optimization of test methods. Protocols for laboratory analyses were optimized to use MirVana Ambion kit for RNA extraction and homogenising aortic tissue sample using liquid nitrogen before cell lysis. A 0.5 ml blood plasma sample was selected for RNA extraction using MirVana Paris kit. MiRNA sequencing analysis of six aortic tissue samples and five blood plasma samples showed a statistically significant increase in 18 miRNAs and decrease in 10 miRNAs expression levels in TAA samples compared to healthy aortic tissue. In current stage the role of identified miRNA in TGF-beta signaling pathway is under investigation. Only a small fraction of the identified changes in miRNA expression are published in current literature, so there is a great possibility to discover novel biomarkers for TAA. Practical recommendation: Intervening procedures and deviation from plasma collection protocol often cause erythrocyte breakdown during blood plasma sample collection. Our findings as well as other studies show that erythrocyte specific miRNAs are released into plasma during this degradation process. This complicates evaluation on circulating miRNA expression profiles in blood, especially miRNAs present at a very low concentration levels. During optimisation of RNA extraction method from blood plasma we have established that only in plasma samples which had absorption at a 414 nm wavelength (A414) lower than 0.2, erythrocyte haemolysis did not interfere with miRNA expression analyses. Later in the study we have noticed that this value is strongly associated with other blood characteristics (i.e. lipid concentration in blood, use of medicine) and can increase above 0.2 even if haemolysis in blood plasma is not present. Taken into consideration these factors, when evaluating haemolysis levels, it is necessary to assess expression of miRNAs associated with erythrocyte: miR-16-5p and miR-451a-5p, since their concentration is dependent on the level of haemolysis. Summing up these results we recommend to check erythrocyte haemolysis level in selected blood plasma samples before carrying out miRNA expression analysis ( miRNA sequencing, identification and validation of potential biomarkers) using the following methods: measuring plasma sample absorption (A414), checking erythrocyte associated miRNA expression levels, and analysing samples which do not have haemolysis. Funding: Project No. SEN-05-2016 is funded by Research Council of Lithuania. Project duration: 2016 – 2018. Summary: The aim of the project is to develop a new device that will allow to individualize treatment with ticagrelor "Point-of-Care" and, during the prospective research in the patients prescribed antiplatelet drugs, to validate a new bio-marker for the treatment individualization with ticagrelor. The project will be implemented in stages. During the first stage, a rapid genotyping method and dedicated equipment will be developed. That will allow to detect a selected bio-marker in one tube without DNA extraction. In the second stage, prospective studies will be carried out with the patients before antiplatelet therapy prescription (n = 100). During this stage, the prognostic value of the selected biomarker will be evaluated for further individualization of the treatment with ticagrelor. The research will be carried out according to the following principle: the patient`s genotype will be determined prior to the antiplatelet prescription, depending on the results of the genotyping. Thus, a patient will receive an individualized therapy depending on the genotyping results (ticagrelor or alternative drug) and the recommended dosage. Results of the project: During the project the impact of a bio-marker involved in ticagrelor pharmacogenomics will be determined. A newly developed device will be applied for a patent in European Patent Office. The obtained scientific results (excluding the final report of the project) will be published in at least one research journal with impact factor higher than 2. The use of the results of this project are obvious in the Lithuanian and in global scale, as these results will allow to proper dosage one of the most commonly used anti-platelet drugs, which are currently used in clinical practice and will help to prevent the undesirable effects of drug usage. Both the developed method and device would be also used in a wider circle of researchers. The results of the project will be implemented through direct contact with physicians and scientists working in the mentioned area. The results will be made available to the public through social networks. Funding: Project No. 01.2.2-LMT-K-718-01-0038 is funded by European Regional Development Fund. Project duration: 2017 – 2021. Summary: Centre of Excellence in Science and Technology for Healthy Ageing is under development by Kaunas University of Technology,LithuanianUniversityof Health Sciences, andVilniusUniversitywith support by partners of the Baltic Sea region- Teknologian Tutkimuskeskus VTT (VTT) inFinland,UniversityofLundinSweden. In the context of ageing populations inEuropeand many other countries around the world, high impacting challenges are expected to hit societies and economies. Among them, the growing phenomenon of multi-morbidity (MM), which is the simultaneous occurrence of several non-communicable diseases (NCDs) in a patient, is a major concern. MM is still poorly addressed in medical care and treatment, since the standard approaches focus on single-disease diagnostics and treatments. Yet, MM is a major concern for patients, whose quality of life is significantly impaired, social inclusion impacted, and risk of death increased. It also critically affects the economy, through the resulting high cost of healthcare, the poverty many MM patients face, or the reduced labour participation MM causes. The problem of MM opens a major route for research, as a better understanding is required. It also brings important innovation opportunities, since solutions for prevention, diagnostics, care and treatment of MM must be developed. The proposal was aimed to address the problem of MM by preparing the business plan proposing the creation of a Centre of Excellence (CoE) inLithuanianamed Health-Tech. Health-Tech’s vision is to become a leading Baltic Sea Region CoE of advance knowledge-based innovations for prediction, early diagnostics and personalised management of MM of ageing persons, with the aim to enhance their quality of life and improve the effectiveness of healthcare systems. The Health-Tech CoE will have a particular focus on collaboration with global healthy ageing research and innovation networks. Health-Tech’s mission is 1) to provide international and interdisciplinary leadership, to create and transfer advanced knowledge, technology and integrated solutions for prediction, early diagnostics and personalised management of multi-morbidity of ageing persons; 2) to foster talents of new generation of innovation-oriented researchers and professionals; 3 to promote management of MM among ageing persons, their families and across different levels of the healthcare system. Genomics and proteins structures and functions for personalised management of MM patterns. Personalised sets of multifactorial biomarkers for early diagnostics of MM patterns. Multimodal biosignal, imaging and IT for personalised early diagnostics and monitoring of MM patterns. Tissue engineering in age-related MM management. Prepared business plan will applied for Horizont 2020 call. Funding: This project has received funding from the European Union’s Horizon 2020 research and innovation programme under grant agreement No. 664339. Professor habil. dr. Feliksas Bukauskas and the President of Lithuania Dalia Grybauskaitė during the event „Global Lithuanian Awards“. Photographer – Martynas Zaremba. Structure-function studies of connexin-based channels. Voltage and chemical gating of gap junction channels. Modeling and experimental studies of cardiac and neuronal networks. Project objective: structure-function studies of gap junction (GJ) channels sensitivity to intracellular pHi and expanding a gating model of GJ channels by including a dependence not only on Vj but also on pHi. The major goal - structure-function studies of gap junction (GJ) channels sensitivity to acidosis. GJs are formed of connexin (Cx) protein and are responsible for electrical and metabolic cell-cell communication. Experiments will be performed in coupling-deficient RIN cells transfected with Cx36 and Cx43. Junctional conductance (gj) under normal and variety of experimental conditions will be measured in cell pairs using a dual whole-cell voltage clamp. Our reported and preliminary data show that acidification increases the open channel probability of Cx36 GJs expressed by neurons and pancreatic ß-cells what determines their resistance to intracellular pH (pHi) decay to ~6 during ischemia. On the contrary, Cx43 GJs expressed in astrocytes and cardiomyocytes, are fully blocked at pHi=~6. We have shown that GJs contain 'fast' and 'slow' gates, which determine modulation of GJs depending on transjunctional voltage (Vj), pHi and others factors. Our data show that differences in sensitivity among Cx36 and Cx43 GJs to pHi are defined by differences in the sequence of amino acid (AA) in the N-terminus (NT) of Cxs. To determine Cx domains that are responsible for sensitivity to pH, we will study mutants in which AAs will be replaced among Cx36 and Cx43 individually or in groups. By measuring gj and its steady-state dependence of on Vj at different pHi, we will examine influence of pHi on fast and slow gates. This will allow us to detail domains in the NT region that are responsible for differences in sensitivity to pHi among Cx36 and Cx43. The data will be analysed using a gating model of GJ channels (GMGJC). In doing so, we will expand our reported GMGJC including a dependence not only on Vj but also on pHi. A principal concept of this model and its viability was demonstrated during two conferences (2012 & 2014). Altogether, proposed studies will determine AAs serving as pH-sensor/s, and will allow to find whether pHi influence gj by acting on fast, slow, or both gates. Funding: Project No. 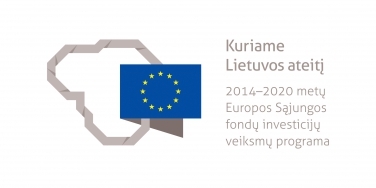 MIP-76/2015 was funded by Research Council of Lithuania. Project duration: 2015 – 2017. Project objective: To improve professional skills of researchers with PhDs and encourage the planning and implementation of high level research projects. Mutation of the connexin 26 (Cx26) gap junction (GJ) channel protein is the most common cause of congenital, sensorineural deafness in humans. Although studies have established that deletion of Cx26 from the cochlear sensory epithelium produces deafness, the role Cx26 plays to maintain hearing remains uncertain. Complicating an understanding of the role of Cx26 is two functional channel configurations that serve very different tissue functions. GJ channels are formed by the docking of two hemichannels and serve as pathways for direct electrical and chemical signaling between cells. Undocked hemichannels can also function and mediate signaling across the plasma membrane. A number of Cx26 missense mutations with retained channel function also cause deafness that is often syndromic, such as in keratitis-ichthyosis-deafness (KID) syndrome, in which hearing loss is accompanied by serious skin disorders. A leading hypothesis is that the pathogenesis of KID and other Cx26-linked syndromes is the result of aberrantly-functioning hemichannels that alter transmembrane signaling and compromise cell integrity. The common association of KID mutants with the aqueous pore suggests that altered permeability characteristics may be principal contributors to disease. Purinergic signaling and Ca2+play prominent roles in the cochlea and skin and here we investigate how two KID mutants, G45E and D50N, differentially affect Ca2+ influx, ATP release and subsequent signaling to adjacent cells. We use mammalian cell expression systems to quantify effects under conditions of defined Cx expression and coupling geometry. We extend to these studies to native cells using keratinocytes and cochlear explant cultures isolated from transgenic animals carrying the G45E mutation. Overall, we view that this work will have a major impact in understanding Cx26-linked syndromic deafness as well as a growing list of disorders in which aberrant Cx channels underlie tissue dysfunction. Funding: Funded by European Union fund investment operational programme “09.3.3-LMT-K-712 Development of scientific competences of scientists, other researchers and students through practical research activities”. Postdoctoral fellow: Dr. Lina Rimkutė. Fellowship supervisor: Prof. dr. Vytautas K. Verselis. Funding: Project is being funged by science project competition award of the association „Santakos slėnis“. Project duration: 2018-03-20 – 2018-12-31. The full list of Prof. habil. dr. Feliksas Bukauskas publications can be found here. Stem cell therapy is a new rapidly developing research field aiming to regenerate the impaired myocardium and providing the novel strategy for the treatment of cardiovascular disease. We investigate stem cell myogenic characteristics, their viability and ability to differentiate into the cardiac myocytes and integrate into the cardiac tissue. Genetic modifications are being performed to improve viability and intercellular communication in the tissue. Gap junction channels and membranous tunneling nanotubes provide a direct pathway for electrical, metabolic and genetic signaling between cells. We investigate the formation, permeability and gating properties of gap junction channels and tunneling nanotubes. In particular, we are interested in mechanisms of regulation of gap junction conductance by intracellular pH, protein phosphorylation and energetic state of the cells. Experiments involving structural and functional modeling as well as site-directed mutagenesis are addressed to identify pH sensing domains of the connexins. We study cellular and molecular mechanisms of b-adrenergic regulation of L-type calcium current and force of contraction of frog, rat and human heart. In cooperation with Laboratory of Cellular and Molecular Cardiology (dr. Rodolphe Fischmeister) of Faculty of Pharmacy of 11th University of Paris we investigate a role of b3-adrenergic receptors and their polymorphism in regulation of L-type calcium current and contraction force of human heart. We collaborate with Aarhus University (Denmark) investigating the molecular and genetic mechanisms of Short QT syndrome that may cause syncope, ventricular fibrillation or sudden cardiac death. Technical facilities of the laboratory enable us to perform collaborative research projects with other laboratories working in different scientific fields. In cooperation with Department of Cell and Developmental Biology (University of Colorado, USA) and Proteomics Center (Institute of Biochemistry, Vilnius University) we study the mechanisms regulating midbody inheritance and its role in cancer cell proliferation and invasiveness. Together with colleagues in the Center of Environmental Research of Vytautas Magnus University and Institute of Experimental and Clinical Pharmacology (Kiel University, Germany) we perform chromatographic, fluorescence microscopy and elecrophysiology studies of stem and cancer cell viability and other properties under stress conditions. Our partners in the field of regenerative medicine are researchers from Centre for Innovative Medicine (Vilnius) and Institute of Materials Science (Kaunas University of Technology). Laboratory is hosting the seminars of Intracellular Signaling, where eminent Lithuanian and foreign scientists present their achievements. National Research Programme “Healthy ageing” project “Age-dependent lipid metabolism and cancer cell viability” supported by Lithuanian Research Council grant (SEN-04/2016); 2016-2018; 140.000 Eur. ; Principal investigator - Dr. Sergio Bordel Velasco. Open Partnership project “The mechanisms regulating midbody inheritance and its role in cancer cell proliferation and invasivenes” supported by Lithuanian Research Council grant (APP-7/2016); 2016-2018; 100.000 Eur. ; Principal investigator - Prof. V.A.Skeberdis; partner – Prof. R.Prekeris (University of Colorado, USA). Research Development project “Engineering of biological cardiac pacemaker” in collaboration with Kaunas University of Technology and Centre of Inovative Medicine (Vilnius); supported by Lithuanian Ministry of Education and Science grant (No. VP1-3.1- ŠMM-10-V-02-029); 2014-2015; 1 500 000 Lt.; Co-investigator – Prof. V.A.Skeberdis. Research project “Development of a quantitative model of tumor progression for clinical applications as a tool to enable optimization of tumor treatment” supported by OlleEnkvistStiftelsen (Sweden ) grant (#21210045); 2014-2016; 220.000 Lt.; Principal investigator – Dr.Sergio Bordel Velasco. National Research Programme “Chronic Non-Infectious Diseases” project “Formation and properties of intercellular tunneling nanotubes” supported by Lithuanian Research Council; 2012-2014, 690.000 Lt.; Principal investigator - Prof. V.A.Skeberdis. National Complex Programme “Molecular mechanisms of the ischemic heart disease” supported by European Social Fund (Project Code Number VP1-3.1-ŠMM-0.8-K-01-022), 2012-2014, 220.000 Lt.; Co-investigator - Prof. V.A.Skeberdis. 1. Evaluation of perioperative period prognostic factors that influence treatment outcome for cardiovascular patients. 5. Experimental study of the effect of ultrasonic (cavitation) energies on function of isolated vascular fragments by using different configurations and power waveguides. Improvement of perioperative clinical decisions for patients with ischemic heart disease and valve pathology. (2011-2013 ). Depression correction relation to heart rate variability parameters (at rest and at psychological/mathematical stress test) in cardiac surgery patients. (2008-2013). Selection of optimal treatment strategy and prognosis afterprimary percutaneous coronary intervention in patients with ST elevation myocardial infarction and multivessel coronay artery disease. (2010-2013). Experimental study of the effect of ultrasonic (cavitation) energies on function of isolated vascular fragments by using different configurations and power waveguides. (2013-2015). 'Evaluation of perioperative period prognostic factors that influence treatment outcome for cardiovascular patients. (2014 -2018 ). Impact of complete myocardial revascularizationon outcomes of myocardial infarction patients. (2011-2013 ). Evaluation of significance of myocardial deformation parameters for detection of myocardial fibrosis in valvular heart disease (2013-03-01-2015-06-30). Application of cerebrovascular autoregulation monitoring method during cardiac surgery. (2014-04-01 – 2016-12-31). Experimental-clinical study of vascular recanalization and functional repair of cavitation streams generated by ultrasound systems. 2015.07.01 - 2018.03.31. 1. Epidemiology of ischaemic heart disease and risk factors, quality of life, mental health. 2. Population registers of ischaemic heart disease (acute myocardial infarction) and strokei. 3. Influence of environmental and genetic factors on health in children population. Results of research studies should be published in Lithuanian and international scientific journals and also presented at conferences.